Kathy Jeanne Mahsman, 60, of Salem, MO formerly of Palmyra, MO passed away at 10:10 p.m. Monday, June 18, 2018, at Salem Memorial District Hospital in Salem, MO. Funeral services will be held 12:00 noon Saturday, June 23, 2018, at Immanuel Lutheran Church in West Ely. Pastor Scott A. Salo will officiate with Pastor Kenneth Schamber assisting. Burial will be in the Grand View Burial Park. Visitation will be held 11:00 a.m. until the time of the service Saturday at the church. The family is being served by the Smith Funeral Home & Chapel, of Hannibal. Kathy was born on December 18, 1957, in Hannibal, MO the daughter of Gerald Walter and Mary Elizabeth (Neff) Mahsman. Survivors include thirteen siblings, Pat Barber (Bill) of Jefferson City, Mo., Debra Shrum (David) of Macon, Mo., Mike Mahsman (Judy) of Hannibal, Mo., Phillip Mahsman (Brenda), Randy Mahsman (Stacey), Amy Tallman (Jerry), all of New London, Mo., Cindy Pettibone (Wells) of Hannibal, Mo., Buddy Mahsman (Debbie), Barbara Falls (Brian), both of Palmyra, Mo., Laurie Mahsman of St. Charles, Mo., Mark Mahsman (Heather) of Quincy, Ill., Doug Mahsman (Michelle) of Hannibal, Mo. and Kimberly Martin (Jason) of Salem, Mo. ; one brother-in-law, Ron Tourney of Clay Center, KS; three aunts, Eleanor Willsey, Virginia "Penny" Stoll both of Hannibal, MO, and Irene Neff of Marissa, IL. Also surviving are numerous nieces and nephews and several cousins. In addition to her parents, Kathy was preceded in death by one sister, Jeri Tourney, and two uncles, Bob Willsey and Duane Neff. 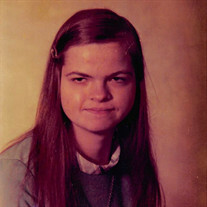 Kathy attended school at Mississippi Valley State School in Hannibal. While an adult in years, Kathy was an innocent child all of her life, and her smile could light up a room. She enjoyed anything that pertained to being outdoors. Camping with her family, going to the drive-in and car rides are things that Kathy cherished. Family gatherings was something that Kathy loved the most. Kathy was a lifelong member of Immanuel Lutheran Church in West Ely, where she was Baptized on March 2, 1958.
her husband Jason, and their children Kaitie, Jacob, Kaleb, and Josie for embracing Kathy as one of their own and for taking care of her during their Mom's failing health and since her passing. Pallbearers will be Jason Martin, Mike Mahsman, Phillip Mahsman, Randy Mahsman, Buddy Mahsman, Mark Mahsman, and Doug Mahsman. Memorial contributions may be made to the Mississippi Valley State School, in care of the Smith Funeral Home & Chapel.